Mid-week holidays for the next 2 weeks, plus a deferred US monthly jobs report until January 10th suggest quiet range bound trade until next year. What could spoil the quiet? Here’s a look at the things you need to watch for the coming holiday shortened week. One Big Question: What Could Spoil The Holiday Cheer? Most leading global stock indexes are in a robust uptrend, as noted here. US indexes are floating on a dreamy mix of promised dovish fed policy AND good data. The economic calendar for the next two weeks invites markets to go on vacation. Even the US jobs reports have been deferred from January 3rd to 10th, and so don’t spoil the New Years’ week. There is little in the next two weeks that is likely to drive markets higher, and those on vacation have time to consider some strategic year-end selling to book losses and take profits that can be cancelled out against those losses for tax purposes. After all, we already know central bank policy is steady to dovish and most indexes are sitting on long uptrends. The temptation to take some profits could be strong. While the Fed left US investors and early Xmas gift, EU finance ministers definitely left their citizens with an Xmas stocking full of coal. If they really understand what has just happened, expect to see the start of an exodus of depositors, and a selloff in bank shares and bonds (except for those of the most stable economies and banks. Those seen as safe havens could be big winners as the recipients of accelerating capital flight from GIIPS nations’ banks, as well as from those of other weakening economies or banks with lots of GIIPS bond and banking exposure. France comes to mind, but there are others. For those with significant exposure to EU banks who are aware of what just happened, and we may assume the smart money is very aware, it’s a poor start to the holiday season. They’re now officially first in line to contribute their hard earned euros to pay for mismanaged banks. They surely realize that capital controls are real risk, especially in the GIIPS nations and France, as well as other weak EU economies and those in central and eastern Europe. They must also realize that when these controls are imposed (how else will they keep capital from fleeing their banks?) they won’t come with much advanced warning. So the only question is, when does the exodus start, and how quickly. Will those with EU bank exposure use their holiday time to move funds while they still can? Every day has at least one major market on bank holiday except for Friday, which mercifully has no market moving data and so virtually screams: go relax! There are however, a few potentially market moving data releases, if anyone is around to pay attention to them. Monday: Japan bank holiday to limit liquidity, invites Asian traders to extend the weekend as the most remotely top tier report is Canadian GDP – rarely market moving except outside of Canada except for traders of the CAD and Canadian asset markets. Wednesday: Merry Xmas to all readers from here in Jerusalem, 20 minutes from Bethlehem, 90 minutes to Nazareth. There’s nothing major on the calendar for the rest of the week. Asia and Europe could bounce as they play catch up with the US after the strong final Q3 GDP report confirms robust Q3 growth indicated by earlier GDP reports was from real consumer spending and not just from inventory buildup because of poor sales. As noted in our post on lessons for the coming week, leading global stock indexes, and the risk appetite they represent, remain overall in firm long term uptrends. That means the bias is to move higher in the medium term. We’ve said repeatedly ever since our 2013 forecast that the rally continues to rest on continued QE and quiet in the EU. This past week both took a blow. QE is still with us, as is dovish US policy, until US growth is strong enough to bear the burden of less stimulus and higher rates. At least, that’s the plan. The elimination of stimulus and return of higher rates is coming. However as long as the US continues to heal, there is no existential threat to the US or global economy. We can’t say the same for the EU. As we’ve also written repeatedly, the EU crisis is merely in hibernation, sedated by lending to the insolvent in order to buy time for the EU to come with solutions like, well, the failed plan of last week. Instead of reassuring markets that the EU is moving to a solution, the new SRM bank deal accomplished the opposite, reminding all that the same obstacles that blocked meaningful repairs to the dysfunctional currency union remain. As we warned back in November here, if the EU failed to come up with a seriously funded bank bailout fund that could handle multiple large bailouts, and deploy funds fast, it would risk reawakening the EU crisis. As we explain here, our worst fears about this failed deal have been realized, and the risk of a new EU crisis is now higher. Anyone who thinks the potential collapse or instability in an economic zone nearly as big as the US can happen without hurting everyone is dreaming. If money must be printed to prevent a 2008 style global collapse, it will be printed. Via its role in the IMF the US will no doubt be involved. Most major currencies will be at risk. See here to learn how to protect yourself through a variety of simple, safe ways to diversify your assets out of the most at-risk currencies like the USD, EUR, JPY, etc. 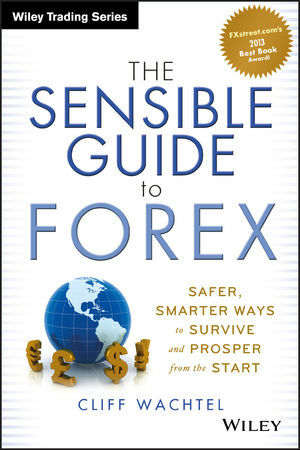 It’s the first guide to currencies designed for lay investors, even those with no interest in direct currency trading, or those solely interested in building long term income streams that are hedged against currency risk. See here for a free video course from Fx Academybased in part on this award winning book.